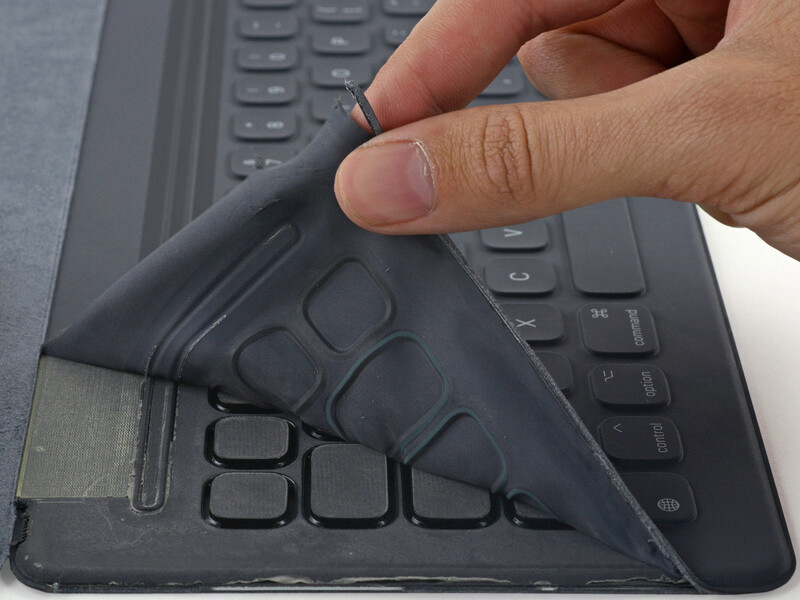 The expensive keyboard accessory may look nice, but it is also next to impossible to repair. Touchscreen keyboards may be convenient for texting, but many people still prefer the classic keyboard with tactile keys. Apple is well aware of this demand and offers an optional Smart Keyboard as an accessory for the large 12.9-inch iPad Pro tablet. For a retail price of nearly 180 Euros, the Smart Keyboard is costlier than even high-end mechanical keyboards and is only available with an English layout. Like Apple, Microsoft also provides costly keyboards for its Windows tablets including the Type Cover and Type Cover 2 starting at 120 Euros or higher. The latest generation Type Cover is fully encapsulated to be splash-proof and easy to clean. 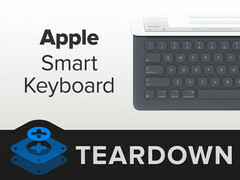 Apple's solution includes 64 keys with no gaps in between, stain-resistant coating, and waterproofing. 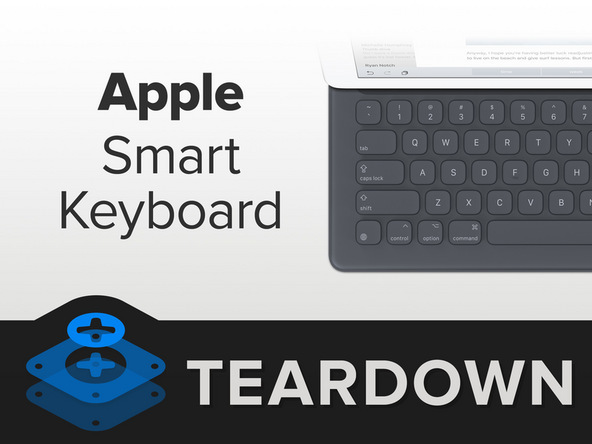 While the design is classic Apple, the keyboard also carries a distinct disadvantage in that it is practically impossible to repair or disassemble without damaging the unit. 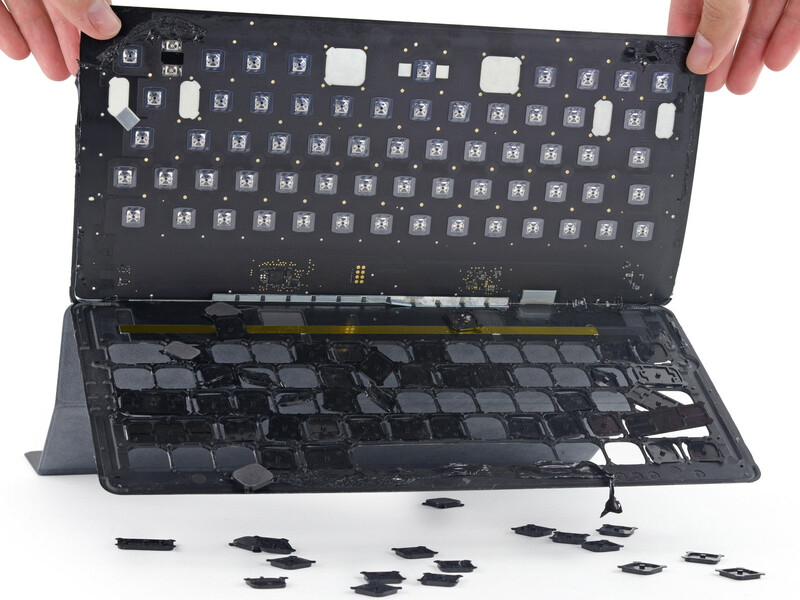 As a result, iFixit has awarded the Smart Keyboard a repairability score of 0 out of 10. Attempts to repair the keyboard are definitely not recommended. The Microsoft Surface Book was also recently given an incredibly low repairability score from iFixit due to its liberal use of adhesives and heavily integrated components.